With a background in semi-professional rugby, a knee injury forced me out of the sport and into the pool. As my knee slowly got better, a friend lent me his old road bike. Next thing I know I was entered into Ironman Switzerland 2005. Come race day my knee held together and I finished the race. I loved everything about the race and what it involved. From the hours of training to the finishing cute – I loved every second. Since 2005 I have completed 20 Ironman distance races, with my current personal best standing at 8hrs 47mins 06 seconds at Challenge Copenhagen 2012. For me pushing my boundaries and seeing where my limits are makes me feel alive. I only just heard about your crash from Giuseppe: I hope your recovery is still progressing well. 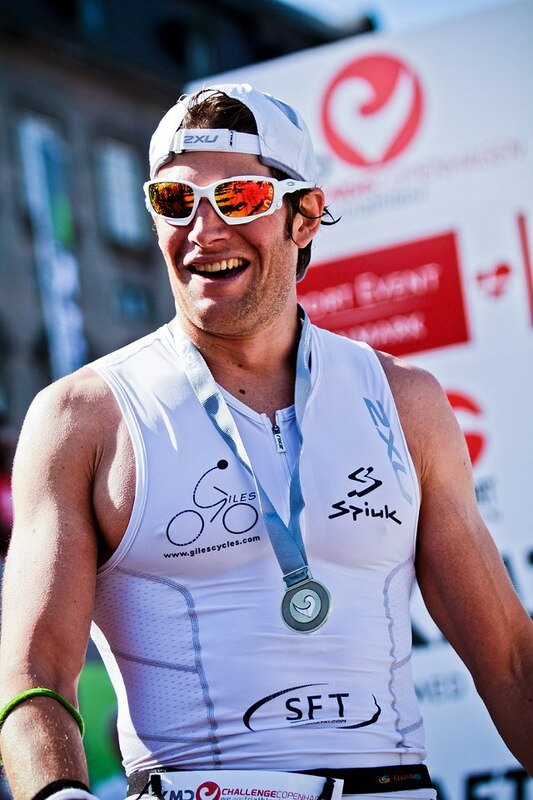 Glad to hear that you are enjoying the triathlon lifestyle and still pushing yourself to the limit. I dabbled with triathlon for a while, but then settled back into my running, which I continue to do with varying degrees of success: 32mins for 10km and 15mins for 5km were my highlights to date. I’m hoping to do a marathon this autumn, but not sure which to do? Anyway, i saw that you were planning on running the Trans-Rockies race this August. You won’t catch me doing that, but I do live in Denver these days, so if you need a place to crash (no pun intended! ), you’re welcome here, or if you want someone to keep you company on some trails, I’d be happy to join you – although, I’m doing the Pikes Peak Ascent on Aug 21. Only recently heard about your crash…. good to see you’re back to full strength!